MANILA, Philippines - Jervi Li, the woman who impersonated veteran broadcast journalist Karen Davila in a video that has gone viral, has become the latest social media sensation. 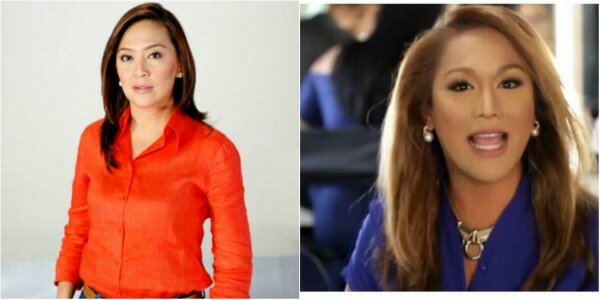 Now more popularly known as “KaladKaren Davila”, Li quickly gained online fame after Facebook user Michael Tanchaco posted a video of her imitating Davila. In the video, Li can be seen mimicking Davila as she crosses a river along with other members of the TV crew in a supposed episode of The Correspondents, the longest-running investigative documentary show of ABS-CBN hosted by Davila which aired from November 17, 1998 to October 22, 2010. Li’s spot-on impersonation of the 46-year-old Pinay journalist quickly captured the attention of netizens with the video amassing over 10,000 shares, more than 25,000 reactions and nearly 725,000 views since it was posted on Monday, September 4. Aside from the voice and manner of speaking, Li and Davila also have similarities career-wise. Both graduated from the College of Mass Communications at the University of the Philippines Diliman. While Davila mainly worked either as a reporter or TV and radio host in both GMA and ABS-CBN networks, Li worked in the same industry as a creative writer and floor director for GMA’s Eat Bulaga and writer for TV 5. According to an ABS-CBN report, Li currently works as the head writer of a reality show in a cable channel. The Facebook page KaladKaren Davila has been created for the latest social media sensation. Watch her hilarious videos below.